Even though the government is a tiny minority of any population, those who recognize that the state is, at its core, a criminal organization are fewer still. It is difficult for these enlightened individuals to fight the state directly, either by fisticuffs or in the realm of public opinion. 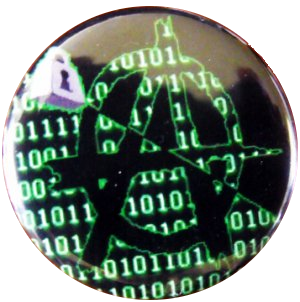 Crypto-anarchy is the practical response of anarchists in the digital age. Crypto-anarchy seeks three things. The first is to protect privacy by limiting the capacity of the state to spy on private communications. The second is to avoid censorship by creating tools for individuals to communicate, even when the government tries to shut them down. In other words, crypto-anarchists believe that people should be free to express themselves publicly without censorship as well as privately without eavesdropping. Finally, the third thing that crypto-anarchy seeks is to allow people to freely trade goods and services in spite of government interference. This entry was posted in editorial and tagged agorism, bitcoin, crypto-anarchy, nsa, privacy, silk road, spying, steganography, tor on July 31, 2014 by rothbarddotcom.